For other uses, see Otago (disambiguation). Otago (/əˈtɑːɡoʊ/ ( listen), /oʊ-, ɒ-/) is a region of New Zealand in the south of the South Island administered by the Otago Regional Council. It has an area of approximately 32,000 square kilometres (12,000 sq mi), making it the country's third largest local government region. Its population was 229,200 in June 2018. The name "Otago" is an Anglicisation of "Otakou", the name of the Māori village near the entrance to the harbour. The exact meaning of the term is disputed, with common translations being "isolated village" and "place of red earth", the latter referring to the reddish-ochre clay which is common in the area around Dunedin. "Otago" is also the old name of the European settlement on the Otago Harbour, established by the Weller Brothers in 1831, which lies close to the modern harbourside community of Otakou. The place later became the focus of the Otago Association, an offshoot of the Free Church of Scotland, notable for its high-minded adoption of the principle that ordinary people, not the landowner, should choose the ministers. Major centres include Dunedin (the principal city), Oamaru (made famous by Janet Frame), Balclutha, Alexandra, and the major tourist centres Queenstown and Wanaka. Kaitangata in South Otago is a prominent source of coal. The Waitaki and Clutha rivers provide much of the country's hydroelectric power. Some parts of the area originally covered by Otago Province are now administered by either Canterbury Regional Council or Southland Regional Council. The Central Otago wine region produces award-winning wines made from varieties such as the Pinot noir, Chardonnay, Sauvignon blanc, Merlot and Riesling grapes. It has an increasing reputation as New Zealand's leading Pinot noir region. The Otago settlement, an outgrowth of the Free Church of Scotland, materialised in March 1848 with the arrival of the first two immigrant ships from Greenock on the Firth of Clyde—the John Wickliffe and the Philip Laing. Captain William Cargill, a veteran of the Peninsular War, was the secular leader: Otago citizens subsequently elected him to the office of provincial Superintendent after the New Zealand provinces were created in 1853. The Otago Province was the whole of New Zealand from the Waitaki River south, including Stewart Island and the sub-Antarctic islands. It included the territory of the later Southland Province and also the much more extensive lands of the modern Southland Region. Initial settlement was concentrated on the port and city, then expanded, notably to the south-west, where the fertile Taieri Plains offered good farmland. The 1860s saw rapid commercial expansion after Gabriel Read discovered gold at Gabriel's Gully near Lawrence, and the Central Otago goldrush ensued. Veterans of goldfields in California and Australia, plus many other fortune-seekers from Europe, North America and China, poured into the then Province of Otago, eroding its Scottish Presbyterian character. 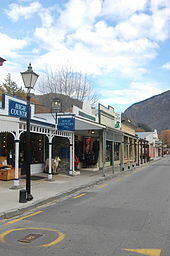 Further gold discoveries at Clyde and on the Arrow River around Arrowtown led to a boom, and Otago became for a period the cultural and economic centre of New Zealand. New Zealand's first daily newspaper, the Otago Daily Times, originally edited by Julius Vogel, dates from this period. New Zealand's first university, the University of Otago, was founded in 1869 as the provincial university in Dunedin. The Province of Southland separated from Otago Province and set up its own Provincial Council at Invercargill in 1861. After difficulties ensued, Otago re-absorbed it in 1870. Its territory is included in the southern region of the old Otago Province which is named after it and is now the territory of the Southland region. The provincial governments were abolished in 1876 when the Abolition of the Provinces Act came into force on 1 November 1876, and were replaced by other forms of local authority, including counties. Two in Otago were named after the Scottish independence heroes Wallace and Bruce. From this time the national limelight gradually shifted northwards. Beginning in the west, the geography of Otago consists of high alpine mountains. 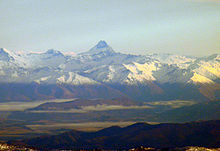 The highest peak in Otago is Mount Aspiring / Tititea, which is on the Main Divide. From the high mountains the rivers discharge into large glacial lakes. In this part of Otago glacial activity – both recent and very old – dominates the landscape, with large 'U' shaped valleys and rivers which have high sediment loads. River flows also vary dramatically, with large flood flows occurring after heavy rain. Lakes Wakatipu, Wanaka, and Hawea form the sources of the Clutha, the largest river (by discharge) in New Zealand. The Clutha flows generally to the southeast through Otago and discharges near Balclutha. The river has been used for hydroelectric power generation, with large dams at Clyde and Roxburgh. 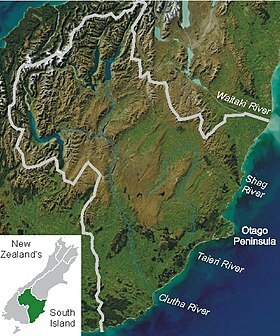 The traditional northern boundary of the region, the Waitaki River, is also heavily utilised for hydroelectricity, though the region's current official boundaries put much of that river's catchment in Canterbury. Kawarau Gorge, where Roaring Meg joins the Kawarau River, in central Otago. The country's fourth-longest river, the Taieri, also has both its source and outflow in Otago, rising from rough hill country and following a broad horseshoe-shaped path, north, then east, and finally southeast, before reaching the Pacific Ocean. Along its course it forms two notable geographic features – the broad high valley of the Strath-Taieri in its upper reaches, and the fertile Taieri Plains as it approaches the ocean. Travelling east from the mountains, the Central Otago drylands predominate. These are Canterbury-Otago tussock grasslands dominated by the block mountains, upthrust schist mountains. In contrast to Canterbury, where the Northwest winds blow across the plains without interruption, in Otago the block mountains impede and dilute the effects of the Nor'wester. The main Central Otago centres, such as Alexandra and Cromwell, are found in the intermontane basins between the block mountains. The schist bedrock influence extends to the eastern part of Otago, where remnant volcanics mark its edge. The remains of the most spectacular of these are the Miocene volcanics centred on Otago Harbour. Elsewhere, basalt outcrops can be found along the coast and at other sites. Comparatively similar terrain exists in the high plateau land of the Maniototo Plain, which lies to the east of Central Otago, close to the upper reaches of the Taieri River. This area is sparsely populated, but of historical note for its importance during the Central Otago Gold Rush of the 1860s. The townships of Ranfurly and Naseby lie in this area. In the southeastern corner of Otago lies The Catlins, an area of rough hill country which geologically forms part of the Murihiku terrane, an accretion which extends inland through the Hokonui Hills in the Southland region. This itself forms part of a larger system known as the Southland Syncline, which links to similar formations in Nelson (offset by the Alpine Fault) and even in New Caledonia, 3,500 km (2,200 mi) away. The Catlins ranges are strike ridges composed of Triassic and Jurassic sandstones, mudstones and other related sedimentary rocks, often with a high incidence of feldspar. Fossils of the late and middle Triassic Warepan and Kaihikuan stages are found in the area. Weather conditions vary enormously across Otago, but can be broken into two broad types: the coastal climate of the coastal regions and the more continental climate of the interior. Coastal regions of Otago are subject to the alternating warm and dry/cool and wet weather patterns common to the interannual Southern oscillation. The Southern Hemisphere storm track produces an irregular short cycle of weather which repeats roughly every week, with three or four days of fine weather followed by three or four days of cooler, damp conditions. Drier conditions are often the result of the northwesterly föhn wind, which dries as it crosses the Southern Alps. Wetter air is the result of approaching low-pressure systems which sweep fronts over the country from the southwest. A common variant in this pattern is the centring of a stationary low-pressure zone to the southeast of the country, resulting in long-lasting cool, wet conditions. These have been responsible for several notable historical floods, such as the "hundred year floods" of October 1878 and October 1978. Typically, winters are cool and wet in the extreme south areas and snow can fall and settle to sea level in winter, especially in the hills and plains of South Otago. More Central and Northern Coastal areas winter is sunnier and drier. Summers, by contrast, tend to be warm and dry, with temperatures often reaching the high 20s and low 30s Celsius. In Central Otago cold frosty winters are succeeded by hot dry summers. Central Otago's climate is the closest approximation to a continental climate anywhere in New Zealand. This climate is part of the reason why Central Otago vineyards are successful in this region. This inland region is one of the driest regions in the country, sheltered from prevailing rain-bearing weather conditions by the high mountains to the west and hills of the south. Summers can be hot, with temperatures often approaching or exceeding 30 degrees Celsius; winters, by contrast, are often bitterly cold – the township of Ranfurly in Central Otago holds the New Zealand record for lowest temperature with a reading of −25.6 °C on 18 July 1903. A map showing population density in the Otago Region at the 2006 census. The population of Otago is 229,200, which is approximately 4.7 percent of New Zealand's total population of 4.9 million. About 53.2 percent of the population resides in the Dunedin urban area—the region's main city and the country's sixth largest urban area. For historical and geographical reasons, Dunedin is usually regarded as one of New Zealand's four main centres. Unlike other southern centres, Dunedin's population has not declined since the 1970s, largely due to the presence of the University of Otago – and especially its medical school – which attracts students from all over New Zealand and overseas. Other significant urban centres in Otago with populations over 1,000 include: Queenstown, Oamaru, Wanaka, Port Chalmers, Cromwell, Alexandra, Balclutha, Milton and Mosgiel. Between 1996 and 2006, the population of the Queenstown Lakes District grew by 60% due to the region's booming tourism industry. Approximately 80% of the region's population is of European lineage with the majority being of Scottish stock—the descendants of early Scottish settlers from the early 19th century. Other well-represented European groups include those of English, Irish, and Dutch descent. Maori comprise approximately 7% of the population with a large proportion being from the Ngāi Tahu iwi or tribe. Other significant ethnic minorities include Asians, Pacific Islanders, Africans, Latin Americans and Middle Easterners. Otago's early waves of settlement, especially during and immediately after the gold rush of the 1860s, included a substantial minority of southern (Guangdong) Chinese settlers, and a smaller but also prominent number of people from Lebanon. The region's Jewish population also experienced a small influx at this time. The early and middle years of the twentieth century saw smaller influxes of immigrants from several mainland European countries, most notably the Netherlands. The seat of the Otago Regional Council is in Dunedin. Otago is represented by four parliamentary electorates. Dunedin and nearby towns are represented by the Dunedin North electorate, held by David Clark, and the Dunedin South electorate, occupied by Clare Curran. Both MPs are members of the governing Labour Party, and Dunedin has traditionally been a Labour stronghold. Since 2008 the rest of Otago has been divided between the large rural electorates of Waitaki, which also includes some of the neighbouring Canterbury Region, and Clutha-Southland, which also includes most of the rural part of the neighbouring Southland Region. The Waitaki electorate has traditionally been a National Party stronghold and is currently held by Jacqui Dean. The Clutha-Southland electorate, also a National Party stronghold, is currently represented by Hamish Walker. The earlier Otago electorate existed from 1978 to 2008, when it was split and merged into Waitaki and Clutha-Southland. One list MP is based in Dunedin – Michael Woodhouse of the National Party. One-time Labour Party Deputy Leader David Parker is a former MP for the Otago electorate and currently a list MP. Under the Māori seats system, Otago is also part of the large Te Tai Tonga electorate, which covers the entire South Island and surrounding islands, and is currently held by Labour Party MP Rino Tirikatene. Three of the 18 Ngāi Tahu Rūnanga (councils) are based in the Otago Region. All of which are centred at coastal marae, Ōtākou, Moeraki and Puketeraki at Karitane. There is also the Arai Te Uru Marae in Dunedin. Otago has a mixed economy. Dunedin is home to manufacturing, publishing and technology-based industries. Rural economies have been reinvigorated in the 1990s and 2000s: in Clutha district, farms have been converted from sheep to more lucrative dairying. Vineyards and wineries have been developed in the Central Otago wine region. The sub-national GDP of the Otago region was estimated at US$5.411 billion in 2003, 4% of New Zealand's national GDP. ^ "Sub-national HDI – Area Database – Global Data Lab". hdi.globaldatalab.org. Retrieved 2018-09-13. ^ "About the Otago region". Otago Regional Council. ^ Peter Entwisle, Behold the Moon: The European Occupation of the Dunedin District 1770–1848, Dunedin, NZ: Port Daniel Press, 1998 (ISBN 0-473-05591-0), appendix 1 pp.136–139. ^ "Central Otago wine success at home and abroad". 2006-11-11. Retrieved 2007-10-09. ^ Heads, Michael (1989). Integrating earth and life sciences in New Zealand natural history: the parallel arcs model, New Zealand Journal of Zoology 16, 549–585. ^ Mckinnon, Malcolm (17 August 2009). "Otago region: Population and employment since 1920". Te Ara Encyclopedia of New Zealand. Retrieved 2010-02-18. ^ Mckinnon, Malcolm (19 August 2009). "Otago region: Overview". Te Ara Encyclopedia of New Zealand. Retrieved 2010-02-18. ^ "2013 Census QuickStats about culture and identity – Birthplace and people born overseas". Statistics New Zealand. Retrieved 23 January 2016. ^ "QuickStats About Otago: Cultural Diversity". Statistics New Zealand. Retrieved 2010-02-18. ^ "Story: Middle Eastern peoples". Te Ara Encyclopedia of New Zealand. ^ "2013 Census QuickStats about culture and identity – data tables". Statistics New Zealand. 15 April 2014. Retrieved 2 February 2016. Note some percentages may not add to 100 percent as people could give multiple responses or object to answering. ^ "Papatipu Rūnanga". Te Rūnanga o Ngāi Tahu. Retrieved 2019-01-30. ^ "Arai Te Uru Whare Hauora". Arai Te Uru Whare Hauora. Retrieved 2019-01-30. Wikivoyage has a travel guide for Otago. Wikimedia Commons has media related to Otago Region.